Raising a Child on the Autism Spectrum - Rachel Bédard, Ph.D. This tender and insightful book includes personal and touching narratives from 24 families raising children on the autism spectrum. Chapters cover the major milestones of the ASD journey: securing a diagnosis, sharing the diagnosis with others and with their children, the good days, and the bad days. “I loved reading this book. 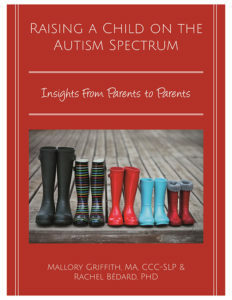 The authors have compiled accounts from 24 parents of individuals on the autism spectrum beautifully and truthfully answering eight poignant questions about their experiences. The questions include such topics as difficulties with diagnosis, telling your child and others about the diagnosis, and what parents wish someone had told them early in their journey. As a professional who has known, worked with, and cared for more than 100 families over 40 years, I would recommend this book to anyone living with or working with a child or adult on the spectrum. The stories enlighten and educate. They inspire and encourage. We partnered with TPI Press for publication. Get your copy today! If you love the book, please write a review on Amazon and pass a copy along to your treatment team! 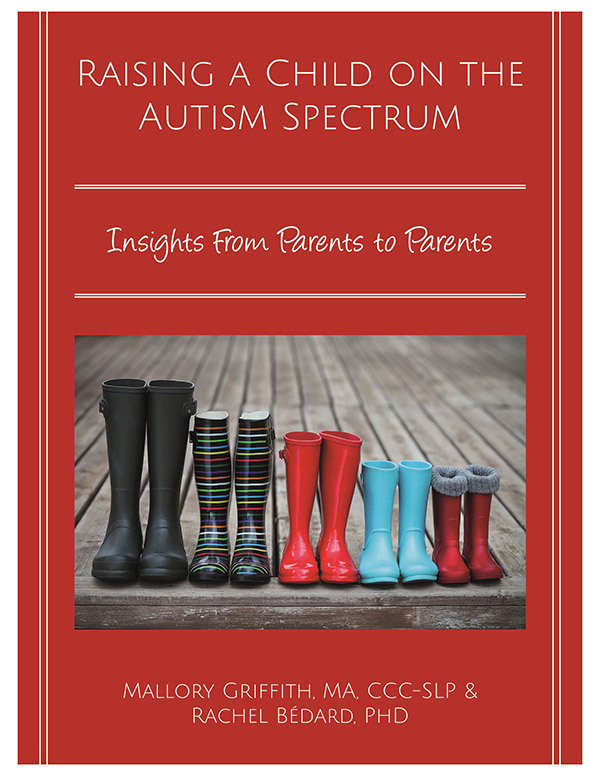 These are the stories of families on the spectrum, written by families on the spectrum. As such, it is so important to Mallory and me that this book gets into the right hands. Help us do that!